Seit 1997 haben PAIN OF SALVATION mit ihrer großen künstlerischen Bandbreite, die sowohl metallische Elemente als auch Einflüsse klassischen 70er-Hardrocks umfasst, einen szeneübergreifenden Ruf als herausragende Kreativköpfe erlangt. Bewusst lehnen Pain of Salvation jeglichen künstlerischen Kompromiss ab und lassen als einziges Kriterium für ihre Kompositionen hohe Qualität und inhaltlichen Tiefgang gelten. Mit "In The Passing Light Of Day" kehrt die schwedische Progressive Metal/Rock Institution zu ihrem härteren Sound zurück. Das Album wurde produziert von Daniel Bergstrand / Dugout Studio (In Flames, Meshuggah, Devin Townsend) und co-produziert von Daniel Gildenlöw & Ragnar Zolberg. 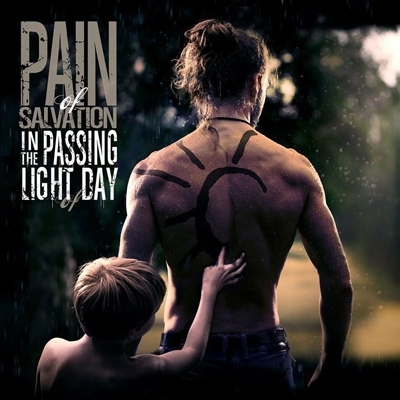 Swedish progressive rock/metal innovators Pain of Salvation have announced the worldwide release of their long-awaited new studio album ‘In the Passing Light of Day’ for Friday the 13th of January, 2017. Working together with acclaimed producer Daniel Bergstrand (In Flames, Meshuggah, Strapping Young Lad, etc.) at Dugout Studio in Sweden, the band have crafted an album that sees them returning to their much praised heavier sound, featuring the syncopated rhythms, glorious melodies, and intensely personal themes that Pain of Salvation fans have long loved about the band.The album will be available as a special edition 2CD Mediabook (including expanded 48-pages booklet, several in-depth texts by conceptual author Daniel Gildenlöw, demo material & band commentary tracks), standard jewelcase CD and gatefold 180g 2LP vinyl plus album on CD as bonus.